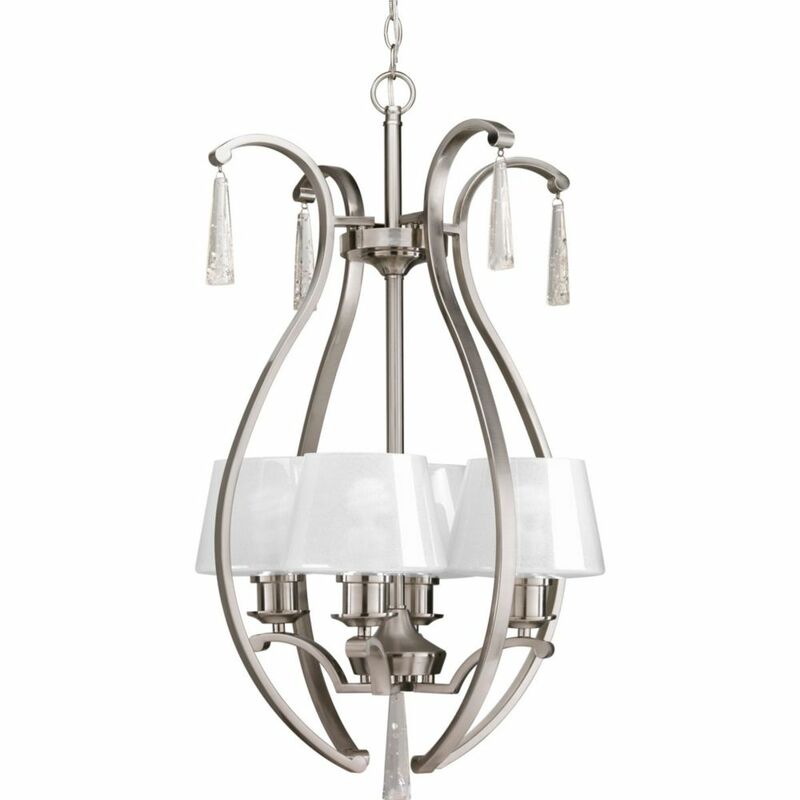 Dazzle Collection 4-Light Brushed Nickel Foyer Pendant The Dazzle collection is sure to add some wow factor to your home. Dazzling glass features a gleaming polished exterior and a interior finish composed of fused glass beads to provide diffusion and sparkle. A jewel-like, faux rock crystal adds even more panache for an elegant and well dressed effect to your home.